Council bosses have approved plans for a 24-hour Costa Coffee outlet at an Angus retail park. 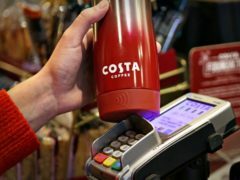 Costa Coffee has launched a new reusable cup that also contains contactless payment technology. Workers at a Tayside business park are being asked to move their vehicles from residential areas. A proposal for a new coffee shop at Kingsway West Retail Park has been granted planning permission by Dundee City Council. 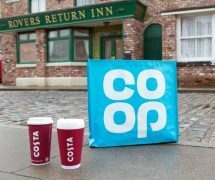 Residents of Weatherfield will wake up and smell the coffee this spring as Costa and Co-op shopfronts will feature on the Coronation Street set. A Dundee retail park could soon host a coffee shop if new proposals are approved by city planning chiefs. A £40 million office, hotel and flat complex at the Waterfront is set to go ahead after city planning chiefs recommended it for approval. Supermarket chain Lidl has said it is “surprised and disappointed” that a proposed store has been recommended for refusal by council planners. A leading business chief has called for Dundee to model itself on Glasgow and Edinburgh to enable retailers to thrive in the city.